Some people write blogs as a hobby and some do it to make money. Either way, bloggers always want to improve and continue to provide interesting and relevant content for their readers. So DFW Style Daily's Leah Frazier and Amber LaFrance are putting on the first annual Blogger 2 Boss conference this weekend, May 1 & 2. If you're ready to take your blog to the next level then you need to attend DFW's premier blogger conference. 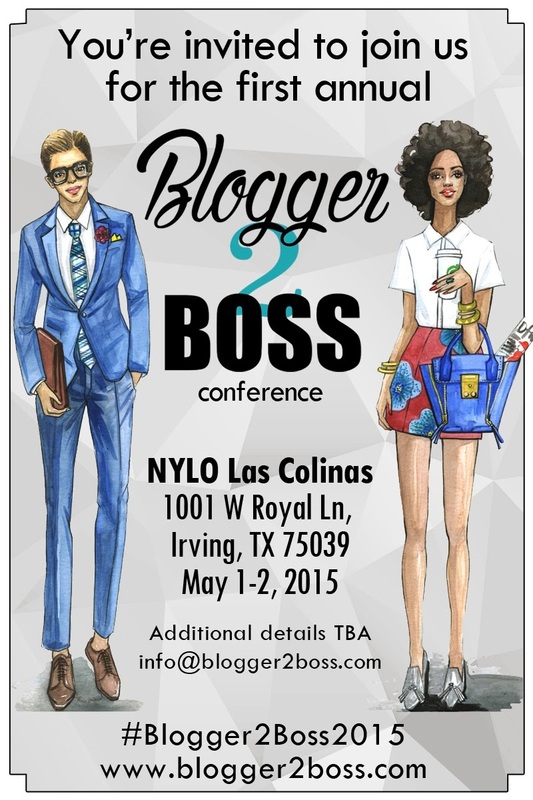 Join fellow aspiring and emerging bloggers to learn from experts in media at Nylo Las Colinas for Blogger 2 Boss. Speakers will give us advice on everything we need to consider when blogging, even legal stuff! It sounds like a fun and practical opportunity for everyone who has a blog, or is interesting in launching one. Get your tickets here! One of the perks of being a student is a fabulous student discount on tickets to attend Blogger 2 Boss. Use promo code ALEXSTUDENTVIP for VIP tickets or ALEXSTUDENTGA for general admission! Get VIP student tickets for $175 $75 and general admission for $100 $50. See you this Friday!